The Duchess of Cambridge, wife of Prince William, has managed to stir up a whole new tornado in the world of fashion with her sense of almost eternally chic and elegant dressing. Such has been the impact of her bearing on people all around the globe that the Time magazine had to announce her name among the most influential people in the world! This is an achievement in itself, a chunk of the credit going entirely to this recent Royal on how she manages to keep herself so charming and most importantly in shape even after introducing Prince George Alexander Louis of Cambridge to the world on 22nd July 2013. The Duchess is a busy personality. She has a lot upon her shoulders and has many Royal obligations to meet. Even then she did find adequate time to emerge from post baby body to a much coveted slender frame within as little as a few months. For the everyday commoners handling a few jobs and home chores, this may sound way too much of a fairy tale to achieve. However, if you do pick up a few tips and tricks from the diet ad workout schedule of the Duchess, there is a possibility, that you too can get back to how you have been before pregnancy. There was a time when Kate Middleton had attracted the notice of the media for being way too slender than what she should be. However, she recovered soon to a healthier version of herself all thanks to a carefully charted yet flexible and fun diet and fitness routine. As far as her fitness in concerned, Kate Middleton does not go into extremes and finds adequate benefits with regular gym sessions and thorough walking. Kate loves walking and has been seen spending quality time walking their family dogs Lupo and Tilly. The private gym and private trainer in the palace has been very helpful in the course of getting back to shape post pregnancy. 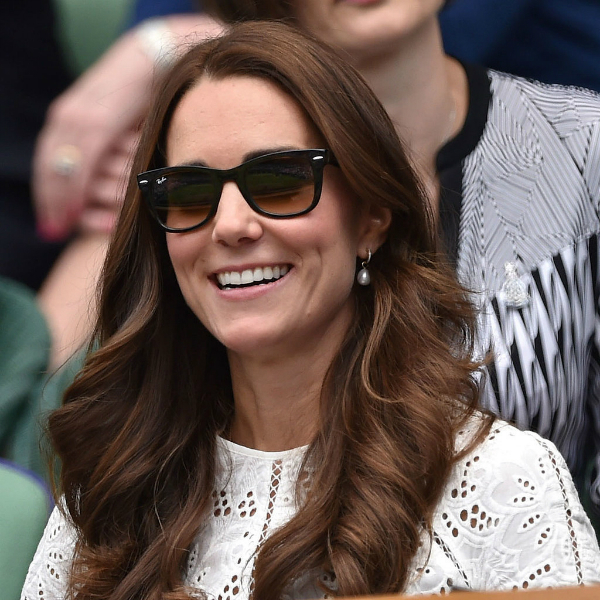 It has been revealed in all its glory that Kate Middleton is not in favor of any fad and extreme diet plans. She has always been in favor of moderate eating with focus on basic nutrition. She snacks, but she snacks on healthy and nutritious food than anything that is sugarcoated or refined. However, it had come to the attention of the media that the Duchess had tried out a variety of diet plans including the Dukan Diet as well as a raw-only diet where she eliminates all cooked options. While this may have caused a more than necessary loss of body mass, it did work wonders for losing her baby fat. Kate Middleton being the Duchess of Cambridge is surrounded with professionals to help her and monitor her through the process of maintaining her weight. She follows guided diet that is carefully planned for her than trying out something misguided. So, if you seem inspired with any of the plans that appear suitable, please seek professional advice before attempting the same.